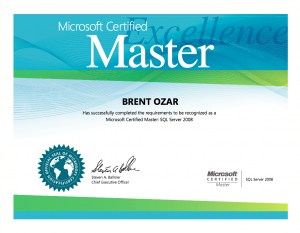 The SQL MCMs just got access to digital copies of our achievement certificates, and you know what that means. It’s time for some good old fashioned plagiarism! Whip out that Photoshop and show me what you’ve got. Change the name, the signature, the cert, the product, whatever you think most needs to be changed. Or maybe it just needs more cowbell. Show me what you’ve got! Tweak the image and put a link to it in the comments by the end of the day Thursday, January 13th. I’ll pick the funniest one to win a $50 Amazon gift certificate via email. Good luck! Show me some lolz. Ha! No, it’s machine-generated. 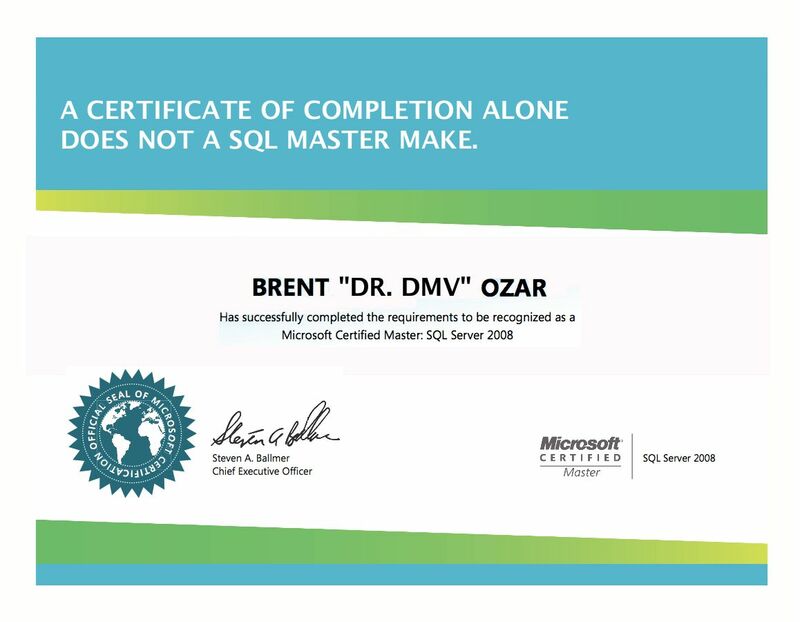 Keep in mind that there’s a lot of MCMs in other disciplines though, not just SQL Server. Since I found out that you have gained MCM I have always wanted to congratulate you well done and I am proud of you. Honestly speaking I would not get involve in such stuff all the same well-done. Carl – thanks! Yep, it was a monster undertaking alright. It’s a tired meme, I know, but here goes. Not really, hahaha, but I had to say that. We all need more Admiral Ackbar. Arrr, I went with a pirate theme. Be sure t’ look closely… can you spot all the changes? *By original I mean, totally ripped off an earlier project of mine. Matt – oh, Lord, Paul and Kim are going to love this! This is a spin-off of the MCM logo I tweaked previously. Funny funny contest. Too hard to resist. Love it. That must be high-octane nightmare fuel for Brent.